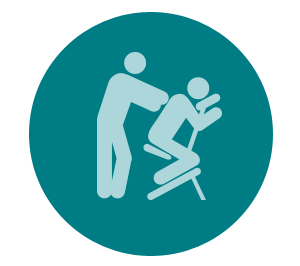 Massage therapy relieves stress and tension, easing associated headaches and muscular aches and pains. Massage therapy aides in the body’s healing process by improving circulation and decreasing muscle tension throughout the body. This reduces injury healing time, prevents overuse of your tissues, and is an excellent form of preventive health care.